During the 1960s, the United States and the Soviet Union were engaged in a fierce competition to explore space. One set foot on the Moon, the other: wheels. America may have put the first man on the Moon, but the Soviets were not far behind, successfully guiding an unmanned rover controlled from Earth over the lunar surface. In the 1970s, Soviet lunar tanks – also known as "Lunokhods” – explored the Moon's surface. Back in the 1960s, the lights were on day and night within the walls of VniiTransMash, the Russia’s Institute of Automechanics. The Soviet Union had come up with a plan to send an unmanned rover to the Moon, but the question was: how would it move around the unfamiliar surface once it got there? The solution was finally found at the institute. Lunokhod-1, popularly known as “the lunar tank”, was the first ever remote-controlled rover to land on another celestial body. Initially slated for a three-month mission, it roamed the lunar surface for 11 months. During this time, it traveled more than 10 kilometers, taking over 20,000 images, including some with its own wheelprints. Every lunar morning – once every 28 Earth days – when the Sun’s rays touched the Lunokhod solar panel, it would wake up, beep – a lonely sound in a silent world – and set off on a new adventure. Exactly where it would head was decided far away, at the mission control center in the Crimea. 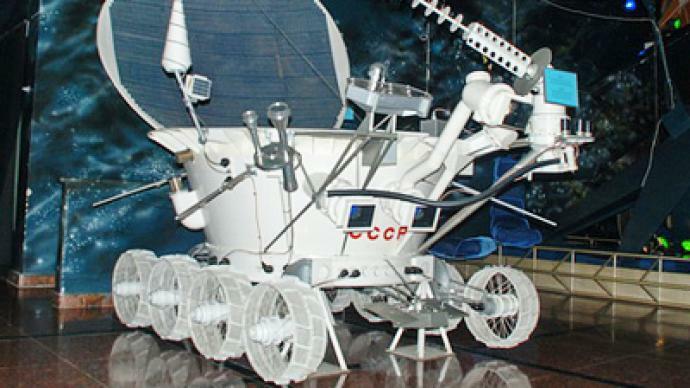 Vyacheslav Dovgan, the Moon rover “driver”, was one of the five-member Lunokhod team, which also included a navigator, antenna operator and two engineers. The first steps were difficult, but in time it seems the team’s work became more creative. After sending its last pictures back to Earth, the Lunokhod finally stopped in its tracks. It is still there to this day. But the little rover’s steps were a giant leap for mankind, and the tracks it left on the Moon’s surface will forever remain a trail blazed for future explorers. Back in the 1960s, the two superpowers were sending both people and machines to the stars and back with only one goal: to outdo each other. Billions of dollars were spent in the race to leave one another behind. But decades on, everything has changed. The former frontline, space now unites nations in a bigger goal – to boldly go “together” where no one has gone before.